You can download the pdf file here from my website. 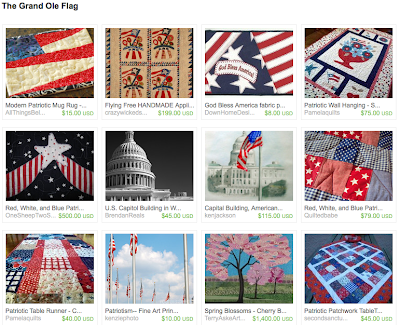 I designed the pattern to say Thank You to those brave men and women who have served our country. Use the pattern any way you wish, it's my gift to you ~ and share the link with everyone...If you or a friend make one, I'd love to see pictures and especially tell us if you are making one for a soldier!!! For each rag square (Cut with the 8 1/2" Rag Die #55013), I layered a 6 1/2" square of batting (cut using the 6 1/2" square die #55000) ~ perfect use for leftover batting pieces by the way! When cutting my flannel rag squares I cut two layers of flannel at a time. Any more than that with my Rag Die was pretty difficult to run through, so I didn't push it. Then another rag square is layered on top (wrong sides together with the batting in between). Then, so the batting doesn't do any shifting in there, sew two diagonal lines from corner to corner to quilt each block. I didn't do any pinning for this, but I did find that using a walking foot was helpful with the layers. I was able to chain stitch all of the blocks pretty quickly too. After all of the blocks are sandwiched, sew the blocks into rows. I made mine from 20 blocks set in 5 rows of 4 blocks. 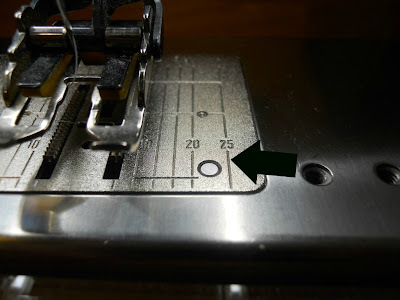 When sewing the blocks together, use a large 1" seam allowance. My machine had this handy line marked 25 that happens to be 1" from needle center, so I could use that as my reference. If your machine doesn't have a marking for a 1" seam allowance, you can apply painters tape on your machine bed as your reference line. Press the seams between the blocks open. Then sew the rows together in the same manner. After all the rows are sewn together, sew all around the outside edge, again about an inch in. This is what the finished front looked like before I washed and dried it to fray the edges. It measured about 28" x 34" before I washed it (I had not pre-washed any of the fabrics before sewing). Then after laundering the final quilt measures approx. 27" x 33". It's the perfect size for nap-time cuddling, and for traveling in the car seat or stroller. After all, if you make it too big a toddler can't drag it around as a Lovey easily. So here she is all finished. 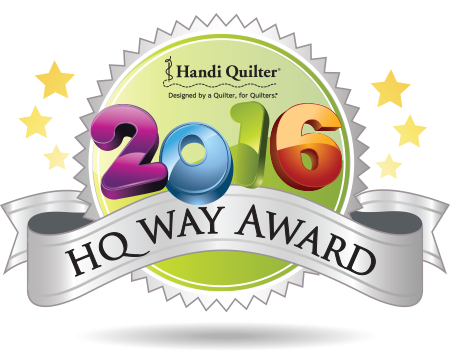 By using the AccuQuilt Go! Rag Die, I didn't have to do any of that cutting to fringe the edges after it was assembled. I just threw it in the washer and was all done! Playing with the warm fuzzies, and getting the instant gratification of a quick project definitely topped off my day on a good note. 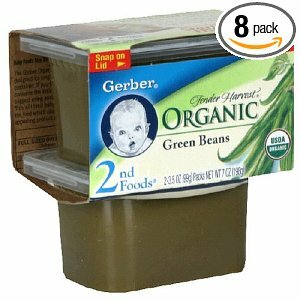 Do you remember when baby food came in glass jars? I think every dad that I knew growing up had the old stand by nuts and bolts storage unit in his workshop that was made by nailing the jar lids to a piece of wood and the jars hung below when screwed into their lids. I had even added some "bling" to some, and made a pincushion top to give them as favors for my sewing retreat buddies (yes for the retreat that I missed while sick last weekend, so they'll have to get them later). I just made a little pillow the size of the lid, and hot glued it on top. (Spray paint the lid first so that you don't see the hot glue through the clear lid.) And decorate the sides with cute ribbon. If you don't know anyone with a baby, and you don't really want to eat baby food yourself ~ fear not, you can even buy these cute little containers already empty from TessCreates Etsy Shop, and 10% of the proceeds of the sale goes to charity. I think you can find just about anything on the internet these days! 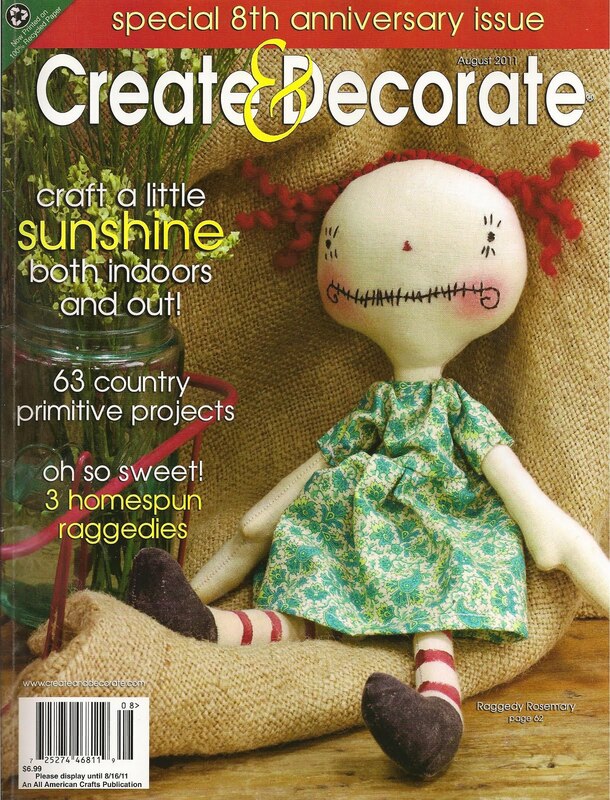 Now knee deep in another busy week (mostly "day job" work, which is NOT my fun work, and preparing my house for an upcoming party this weekend), I got some fun news that brightened my week...The August issue of Create & Decorate is now on news stands! 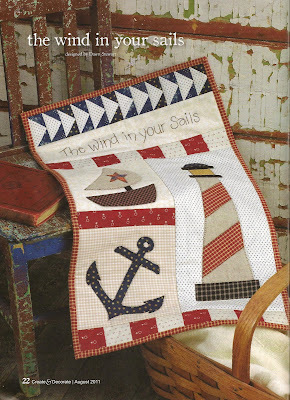 ...and if you turn to page 22, you'll see my little quilt The Wind in Your Sails. It's a cute little quilted banner that's really easy and quick to make up, just in time for Summer! Enjoy, And be Thankful for the day! I designed and pieced the top (and note ~ there's no applique on this one), and my friend Mary of Keep Me In Quilts quilted it for me. She does beautiful long arm work! 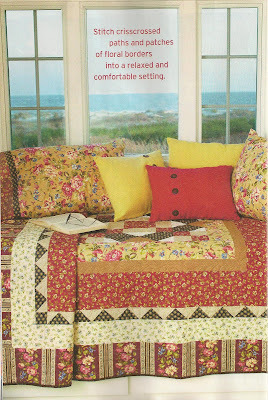 The pattern for Cottage Breeze can be found in the August/September issue of Quilt Magazine which is hot off the presses and can be found on the news stands now! Kits for the quilt can be found here, and Anneke's Collection fabrics on bolts can be found here :) But hurry, they're selling out quick! 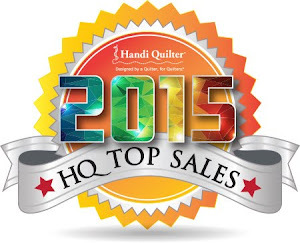 A Sale and Some Friday Facebook Fun! 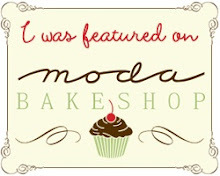 I've been having so much fun with promotions lately, I thought we'd have some Summer Fun over on My Website! 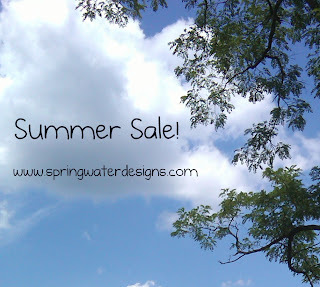 For a limited time, you'll received one Free Spring Water Designs pattern for every $20.00 of other merchandise or fabric that you purchase! Just specify which pattern that you want in your message at check out, it's that easy! (Limit: one free pattern per purchase). Also, select quilt and apron kits are 20% off while quantities last! 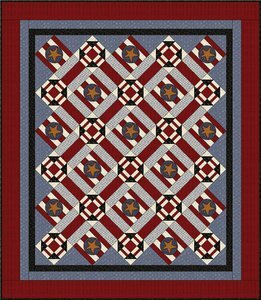 Like our American Beauty Quilt Kit ~ Just in time for Independence Day, this kit was $105.00 Now get it for $84.00, That's 20% off! ...And for some Friday Fun over on Facebook, my Madras Summer Tote is featured as the Answer to AccuQuilt's Friday Fun Trivia question today! Head on over to their FB page for a chance to win a Go! Baby Fabric Cutter :) But you have to hurry, that will end this afternoon! 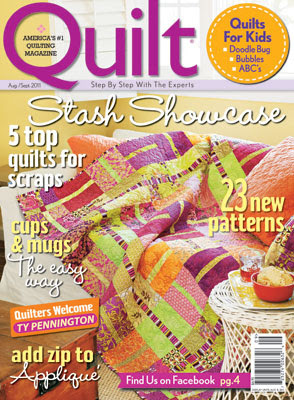 My Madras Summer Tote is being featured on the front page of the AccuQuilt website ~ How cool is that! 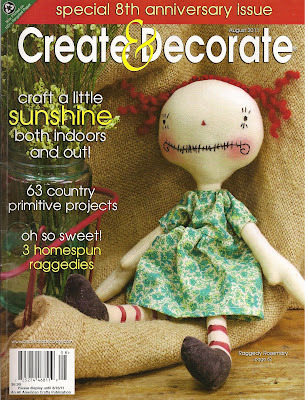 You can get the downloadable pattern for Free, yep I said free! 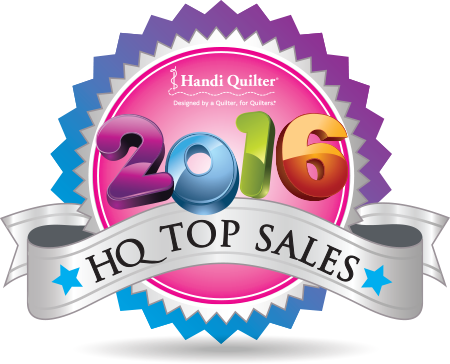 Plus the AccuQuilt dies that are used to make the tote are 20% off. 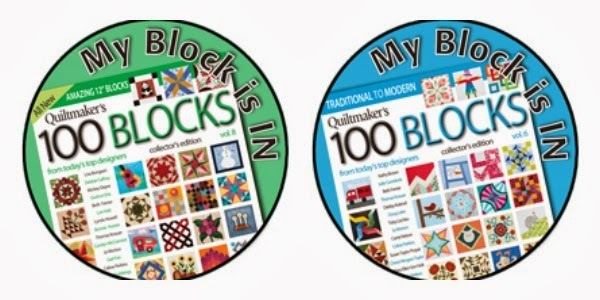 Just go to AccuQuilt's website, but hurry this special only lasts for one week! 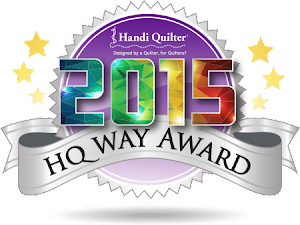 Remember, you also get AccuQuilt Reward Points for all of your purchases from their site. If you missed it, you can read more about the Madras Summer Tote, and the extra bonus project that's included in the pattern here.